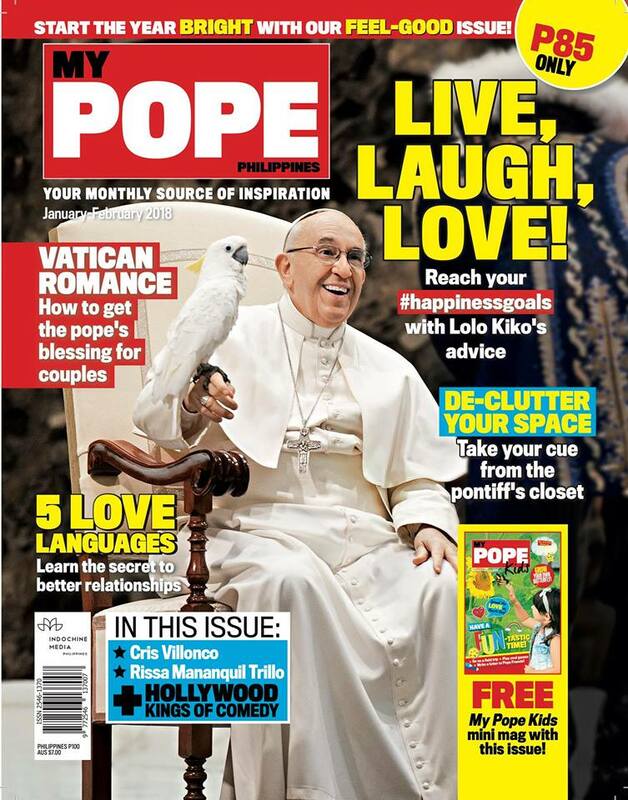 My Pope Philippines is a monthly inspirational-lifestyle magazine giving doses of inspiration in print and online. Currently it has a mini-site, but stay tuned because they are launching a website in April this year! They will be sharing exclusive news and photos of Pope Francis, articles on how to live your life to the fullest, and more content that’s sure to bring out the good vibes on www.mypope.com.ph (under contruction). 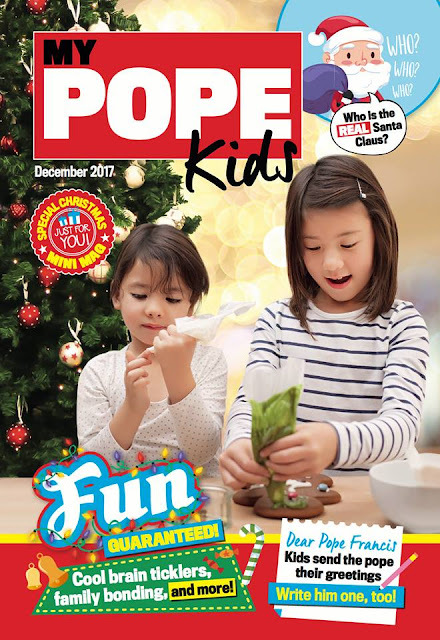 Note: The first issue of My Pope Philippines magazine for the year is a combined January-February 2018 edition. 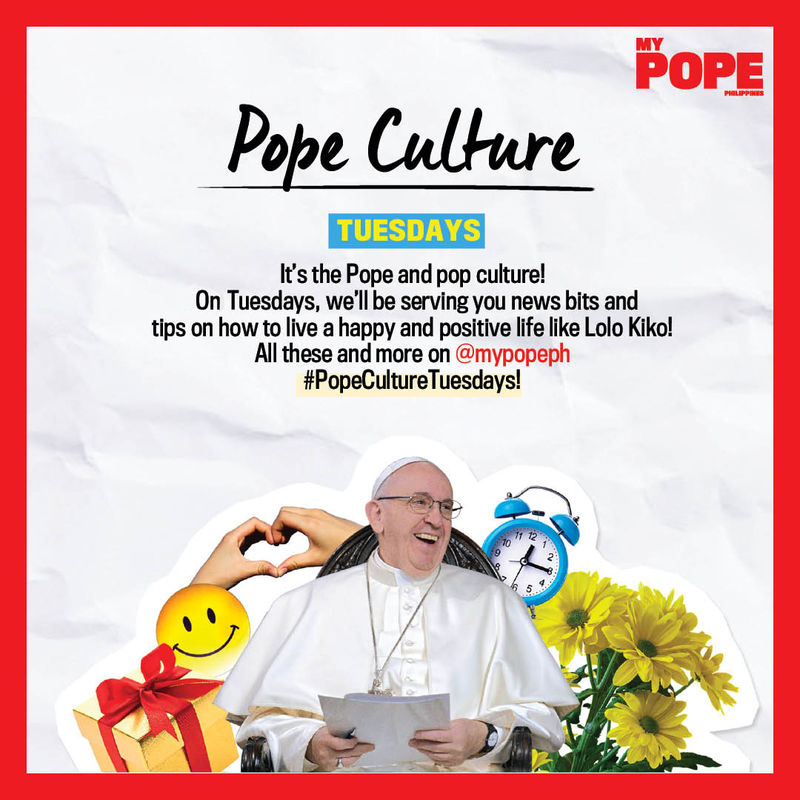 Day-to-day themes is introduced on social media to keep followers engaged and to provide inspiration in all forms–from knowing what makes their favorite personalities happy to seeing trivia and feel-good articles on pop culture! 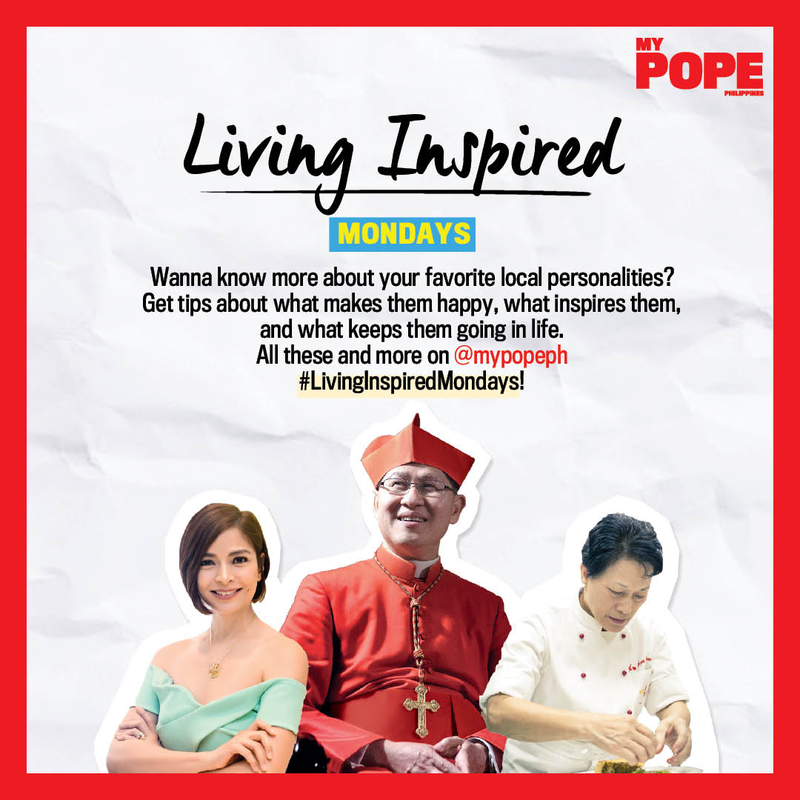 On Mondays, a personality will be featured and how s/he can inspire his/her followers. S/he can be an actress, a member of the clergy, a chef, or a businessperson. The magazine is keeping content as diverse as possible to feature people from all walks of life. We will get to know what makes them happy, what inspires them, and what keeps them going in life. 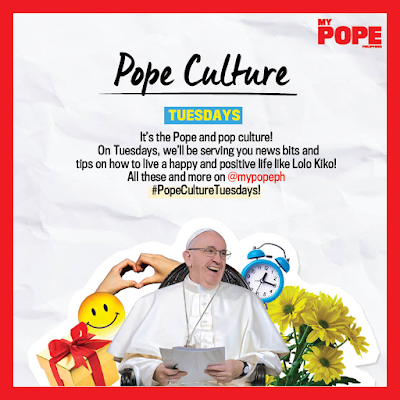 Pope Culture is initially a major section of the magazine, a play on the words “pope” and “pop culture.” On Tuesdays, light-hearted articles will be featured and tips on how to live a happy and fulfilling life. It can be anything from time management to knowing more about your love languages. 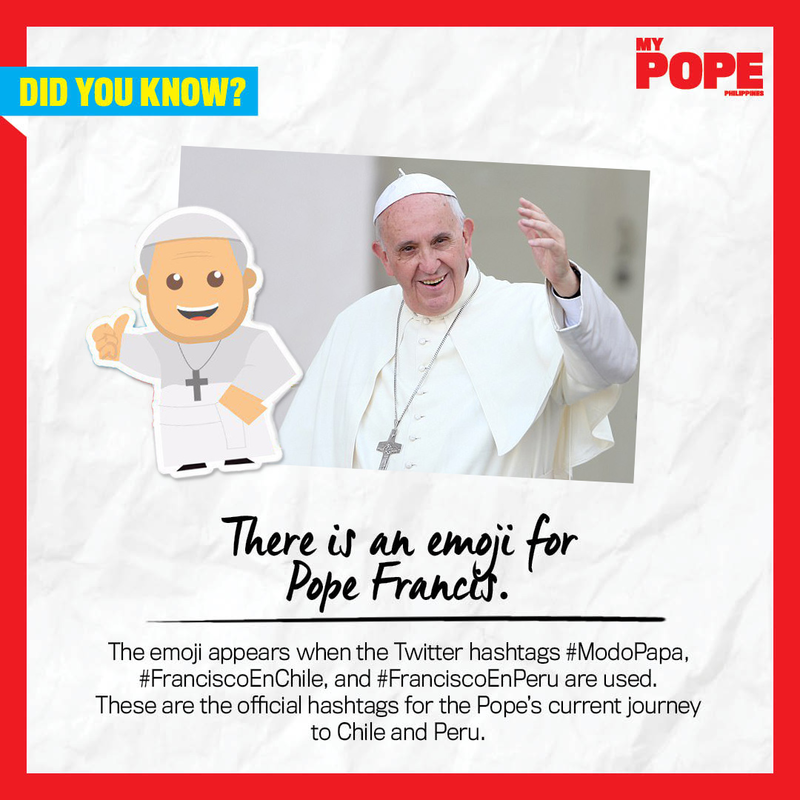 This includes also a glimpse of Pope Francis’ life. Reader Mail Wednesdays is a way of giving back to their readers. 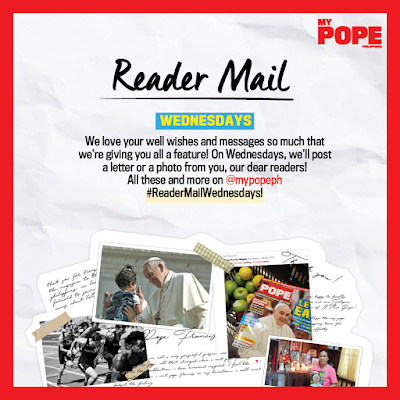 On Wednesdays, it will feature a letter, a photo, or a simple tweet from our readers. This shows that their readers’ messages never go unheard and they are grateful for people's support. Aside from sending snail mail, feel free to tweet them or send them a message on social media. This is a weekly wrap up on Thursdays! The team will be sharing photos from our shoots, events, and community visits during the week or the month. They may even share some of their office shenanigans and personal goals. If in little ways they are able to inspire you, we hope you can return the favor by inspiring others around you too! We all know how much people get inspired by food, so on Friday mornings, we’re posting food content. 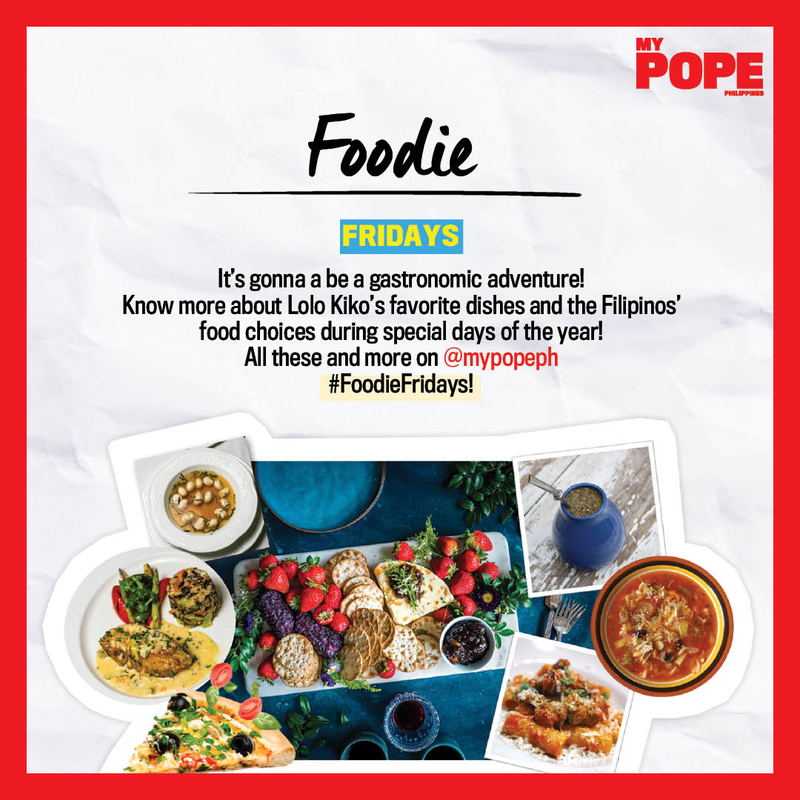 From photos of the pope’s favorite dishes to flat lays of Filipino food served during special occasions – they got you covered! 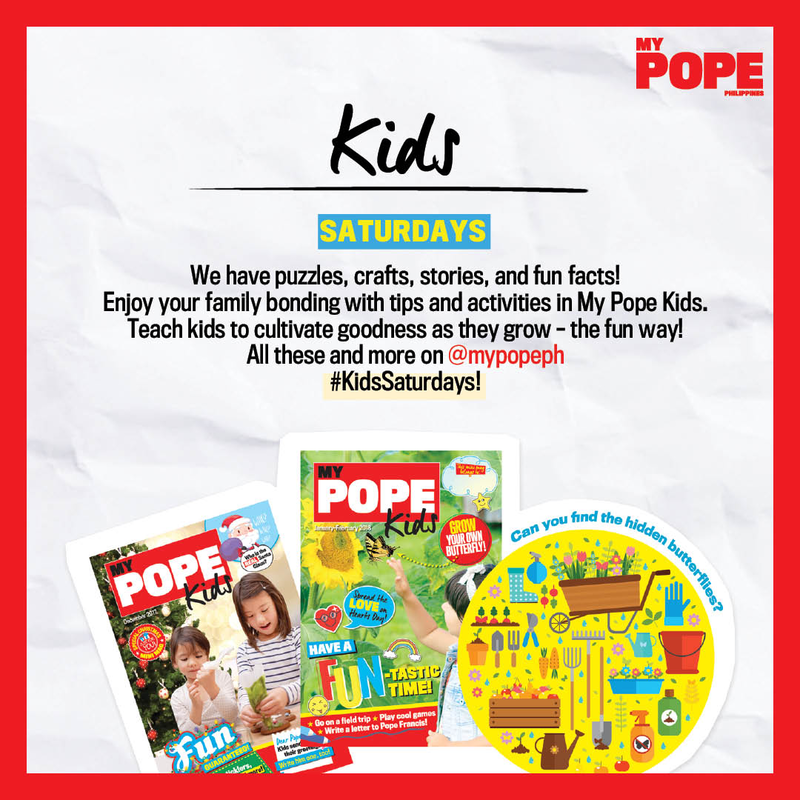 Filipino weekends are considered our family days, so on Saturdays, expect content that you can share with the family’s little ones! 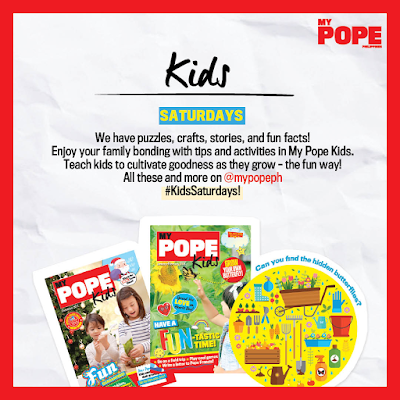 These are puzzles, fun facts, and tales with moral lessons. The goal is to help kids grow into compassionate and loving members of society while making family day fun for everyone! 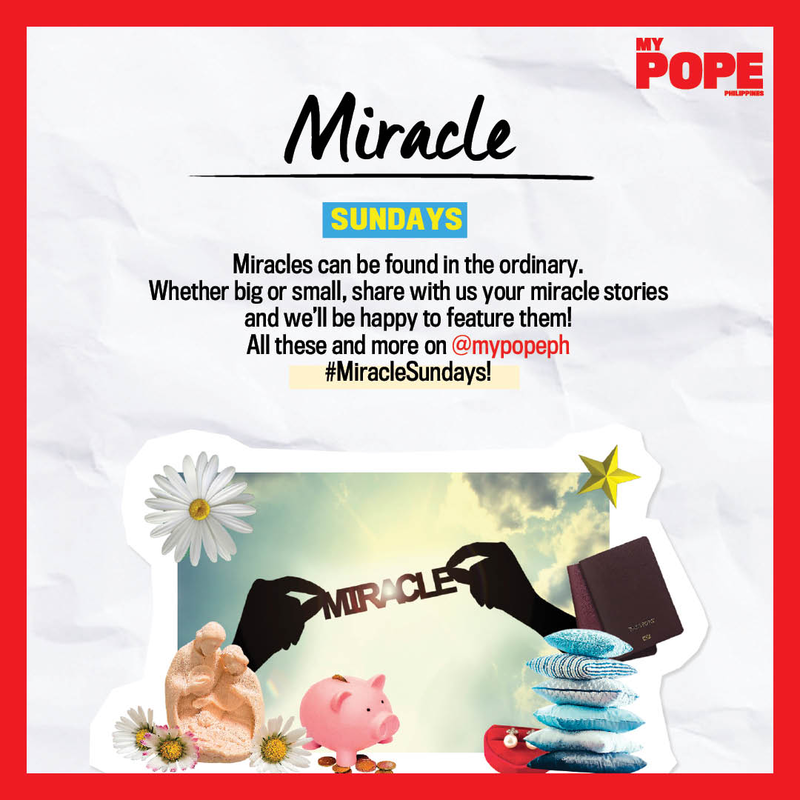 Miracles can be found in the ordinary, and we’ve probably experienced one at some point in our lives. Be it as small as receiving an unexpected gift, or as big as surviving a fatal accident, share with us your stories! On Sundays, we’ll post share about how the impossible becomes possible. 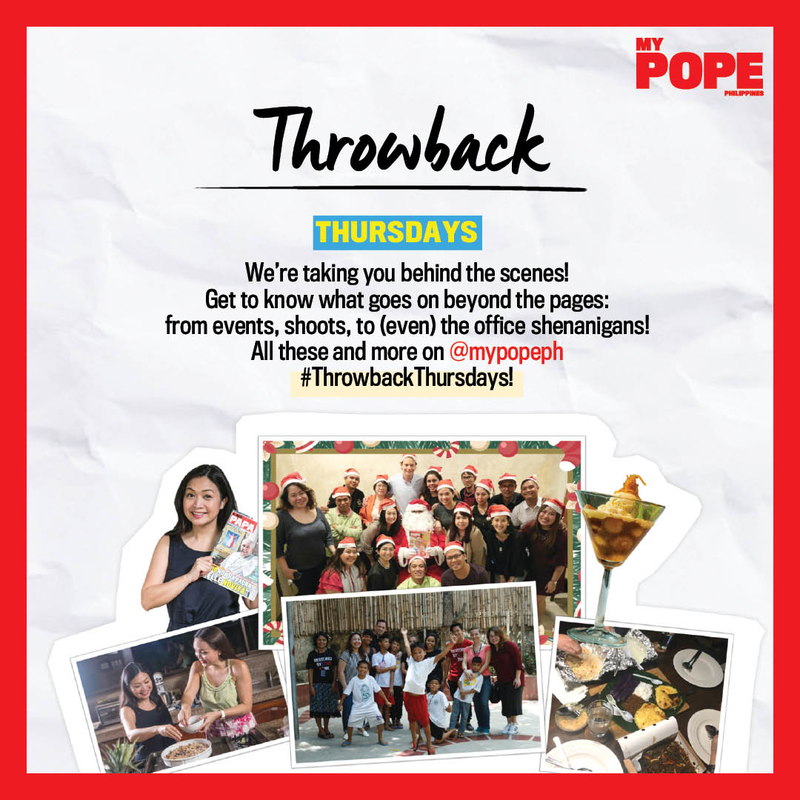 Aside from daily themes, the magazine team will be posting different content throughout the day. 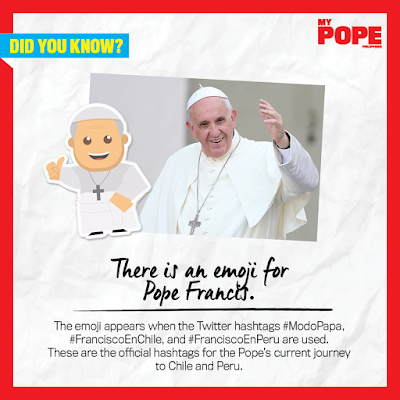 Stay tuned for news about Pope Francis and other relevant trivia in #TodaysTrivia. Expect quotes to inspire and other marketing promotions you might want to avail of. To end the day, they will be sharing with you items that touched our hearts in #ReviewRoundup.